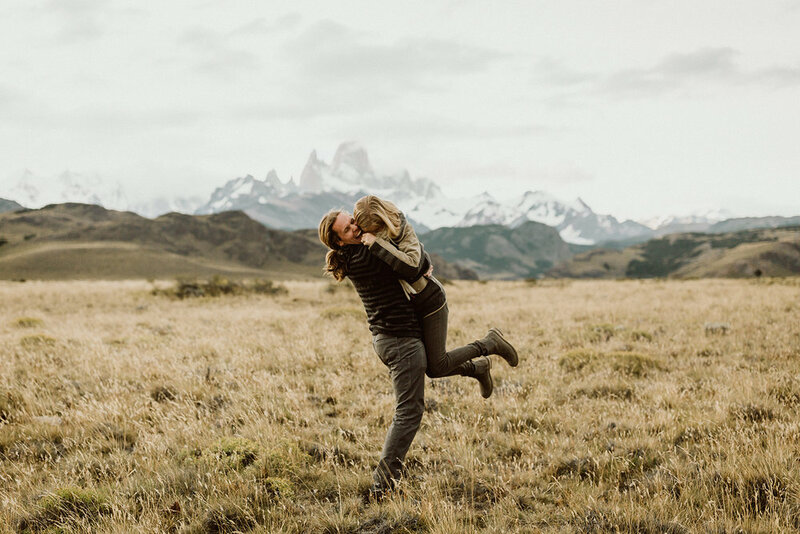 I recently shared some of the photos our friend Anni took of us in El Chalten on our first trip to Patagonia, and I wanted to share the ones Megan took as well! It was a truly special experience to be photographed by dear friends in such a beautiful place, and it’s really cool to me seeing their different perspectives. 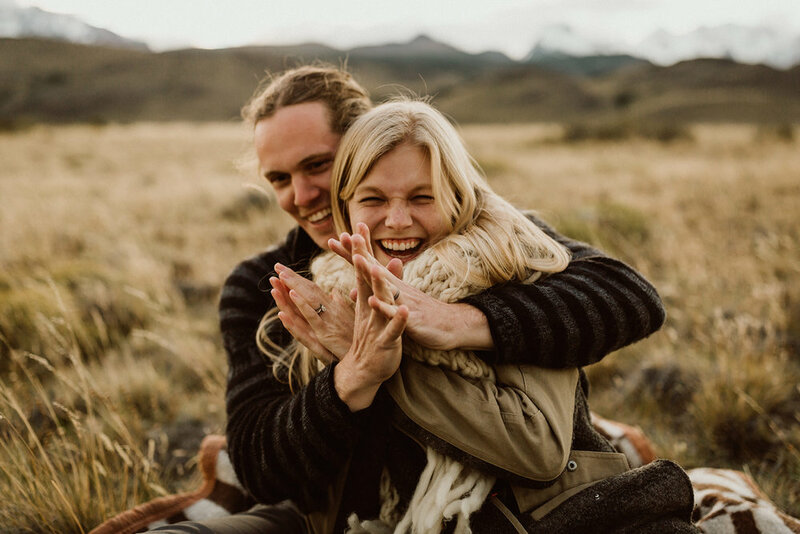 We’re big believers in the fact that there is not one photographer out there who’s perfect for everyone - everybody captures love differently and its so cool to get to witness those differences first hand! 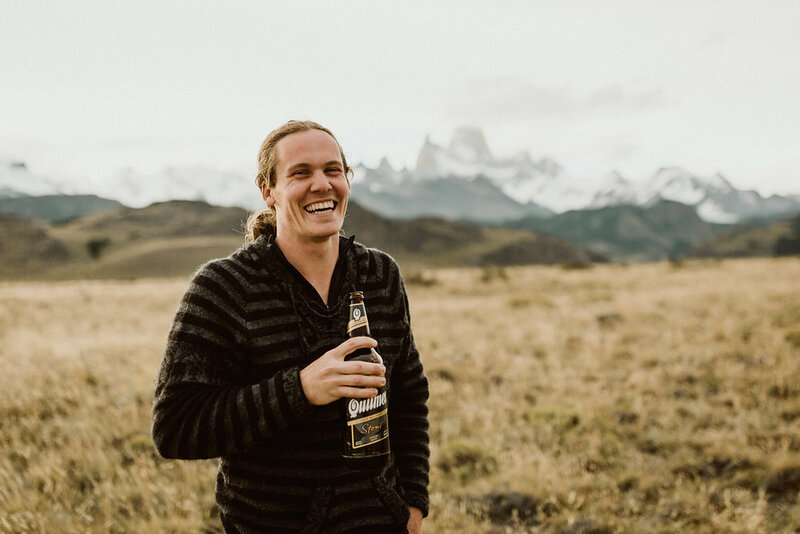 We got a truly unique experience because all three couples traded sessions one evening in Patagonia, so we each got photos from two different photographers. I talked a lot about why I am so thankful to have these photos in my blog post of Anni’s photos, but I seriously can’t stress enough how much these mean to me. Having professional photography of ourselves is such a huge priority to me and I’m beyond thankful we get to have opportunities like this to trade photos with fellow photography couples. We took a lot of tripod photos in Patagonia, but the ones Megan and Anni took of us carry such different meaning to me. I love that we have our real interactions and chemistry captured in such a beautiful place. 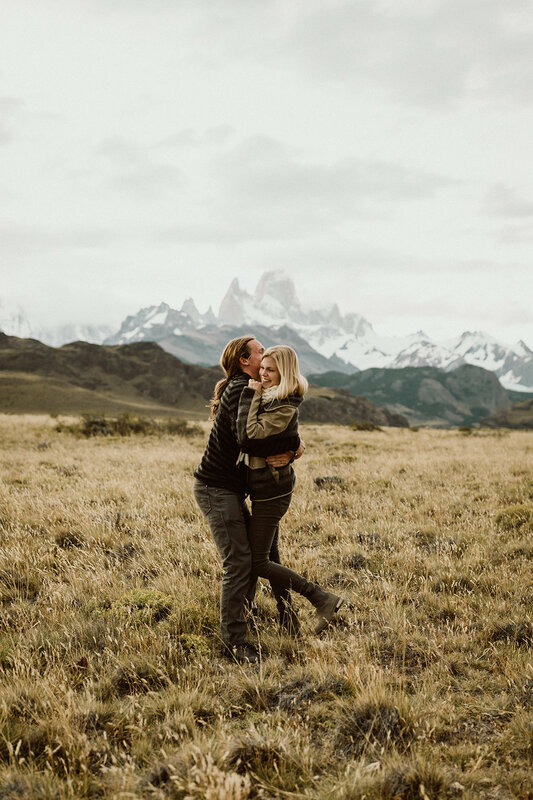 This was our first time in Patagonia and considering we hope to go back a lot of time in the future, it’s really special to have these photos to look back on! I hope these photos inspire our already-married readers to find a photographer they love and book a session - even if it’s a splurge. You don’t need to be getting married or having a baby to get professional photos taken! You just need to be a human being with feelings that wanted to capture the point in life you’re living right now. I promise you won’t regret capturing these fleeting moments. These photos are all by our amazing friends Megan and Nate of Cedar + Pines. Head to their site to check out more of their amazing work! 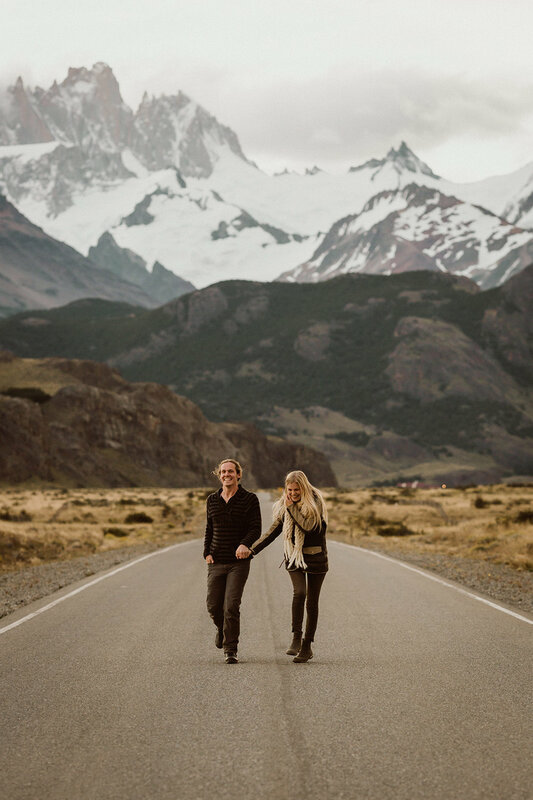 The Hearnes Adventure Photography is run by Abbi and Callen Hearne, a husband & wife wedding photography team with an emphasis on adventure. They live on the road as full-time nomads in their big white van, allowing them to serve a large portion of the western US including California, Utah, Oregon, Washington, Arizona, Colorado, and Wyoming. They have updated passports and are ready to travel anywhere in the world at the drop of a hat. 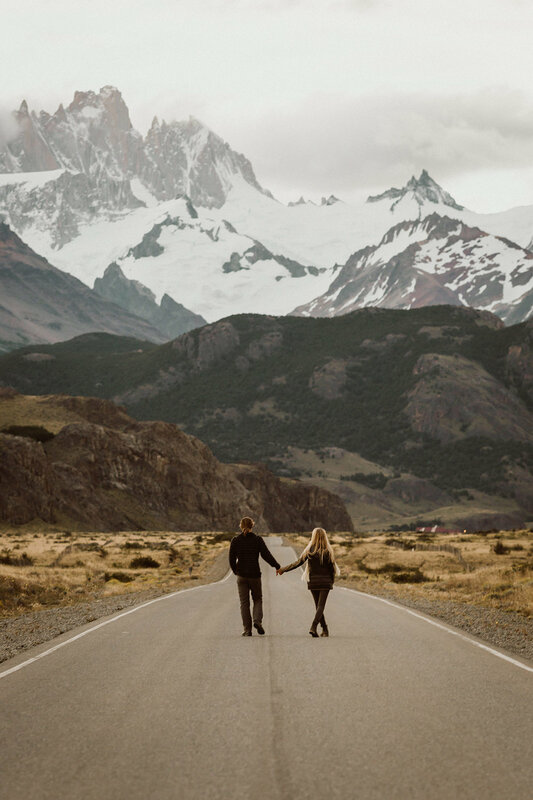 They believe love is the greatest adventure and strive to create photos that are epic, romantic, true, and timeless.